← borntobealoser is one smart Highway Warrior! How is his cape standing up like that? Either V-Man uses a lot of starch, or it’s really windy in that hotel. If “V-Man’s” cape stays up for longer than 4 hours please call your physician immediately. Thanks to a magic blue pill V-man will be helping damsels with their boxes for the foreseeable future, And ladies your welcome. 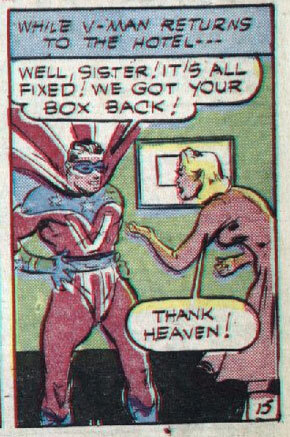 “got your box back?” A big “V” on his chest? I’ll skip the jokes before I get banned….